Attention party animals! This collection of eye masks features a variety of animal prints. 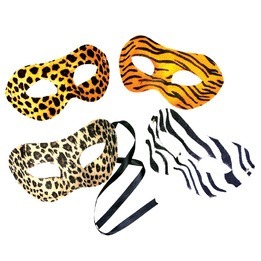 A great costume accessory for Halloween, New Year’s Eve, Mardi Gras, and masquerades.